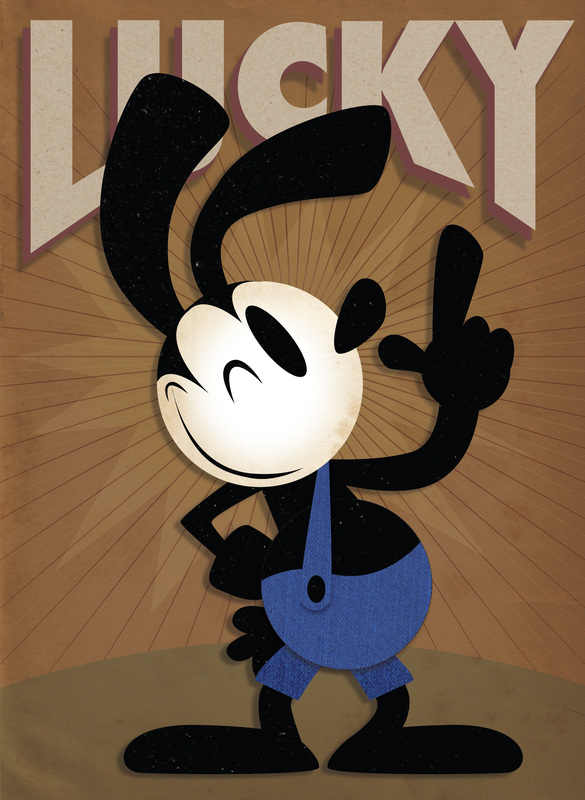 2D and 3D paper sculpture pieces for Disney. 3D paper sculpture in shadow box. 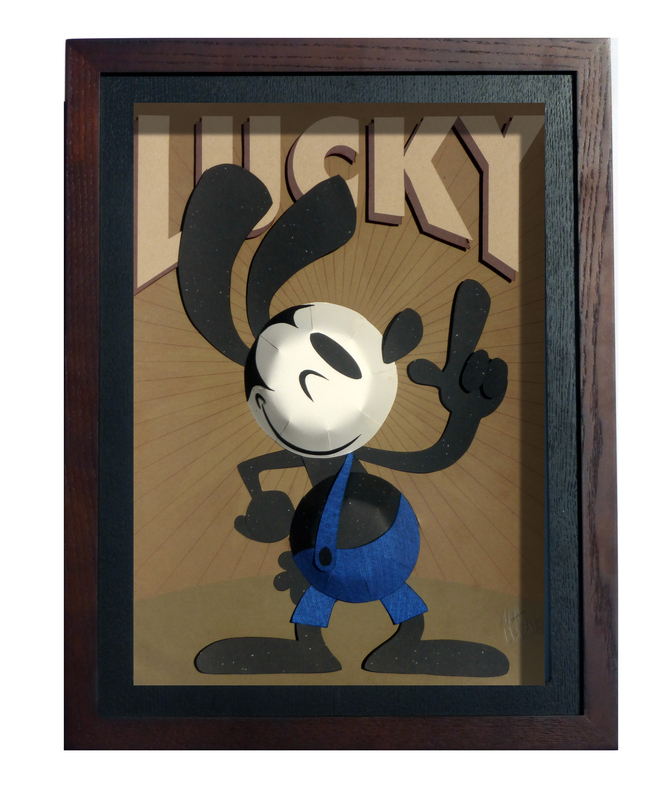 Lucky a 3D shadowbox and 2D print of Oswald the Lucky Rabbit for the Wonderground Gallery at Downtown Disney.